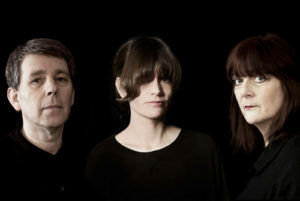 Carter Tutti Void’s ”ËTransverse,’ is a unique and challenging collaboration from Chris Carter & Cosey Fanni Tutti (Throbbing Gristle) and Nik Void (Factory Floor) – the tracks were created especially for the Short Circuit presents Mute Festival at the Roundhouse, London in May 2011. 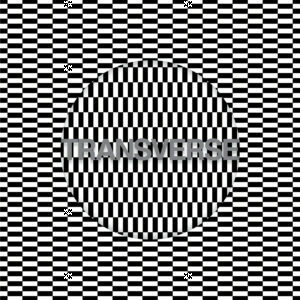 These tracks were initially prepared in the studio and then performed and recorded live in front of an audience – ”ËTransverse’ is that document. Each of these 10 minute pieces demonstrates the intimidating power that industrial music in its purest form contains ”â even with the input from Void there is no hint of more accessable EBM style shenanigans; the four tracks deliver a literal wall of sound, a sound that builds relentlessly, Carter and Void provide the rhythmic driving electronics whilst Tutti sparsely delivers heavily treated and unrecohnisable vocals. Turn the volume up and the music will envelope you, carrying you in a hypnotic like state ”â the recording shows that the performance was not merely a ”Ëplayback’; the tracks develop organically, they retain a raw element ”â this is a visceral, brutal record and that’s down to the innate understanding Carter Tutti Void have between themselves and of the sounds they create. One can only imagine the impact this had upon those present to witness the live performance.